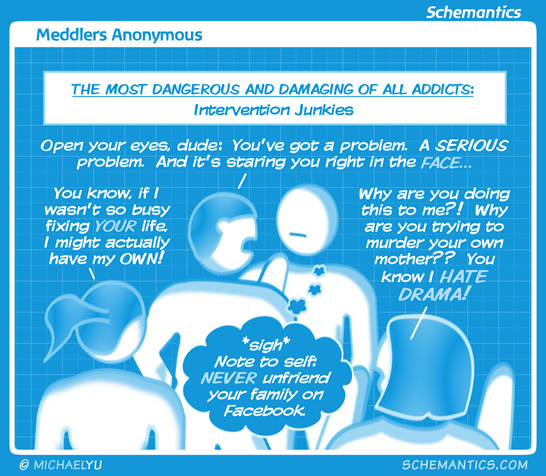 I believe "codependent intervention addiction" is the technical psychiatric definition of family. And I wonder if there are TV fans who get addicted to the show "Intervention." Or hoard copies of "Hoarders." There's a fine line between group viewing and encounter-group viewing.